New Polestar CEO Thomas Ingenlath. Volvo's Thomas Ingenlath is among few designers who have been tapped to lead a brand. Ingenlath is the new CEO of Volvo's Polestar unit, which the automaker is turning into a global stand-alone for electrified cars to challenge Tesla Motors and BMW's i subbrand. Other designers that rose to become brand bosses have had mixed results. Bryan Nesbitt's appointment as head of Cadillac was unprecedented in the U.S. auto industry when it happened in the summer of 2009. However, in March 2010 General Motors moved Nesbitt back to the styling world after seven months as Cadillac's overall chief. He remains a top designer with GM. Ralph Gilles spent 21 months running Dodge after his surprise appointment in the autumn of 2009. Then he was named head of Chrysler's Street and Racing Technologies, or SRT, performance brand. He held that post until May 2014. Today he is Fiat Chrysler Automobiles' global head of design. In early 2014, Toyota named global design chief Tokuo Fukuichi president of Lexus International. He stepped down as president of Lexus in April to take the newly created position of chief branding officer at the Lexus and Toyota brands. Separately, in 2012 Hyundai-Kia named design chief Peter Schreyer a company president but did not add any administrative duties beyond his continuing role as head of global design for the South Korean brands. In 2012, Volvo successfully lured Ingenlath away from the Volkswagen Design Center in Potsdam, Germany, where he oversaw styling for all VW Group brands. During his two decades at the VW Group he also held top design jobs at Audi, VW brand and Skoda. 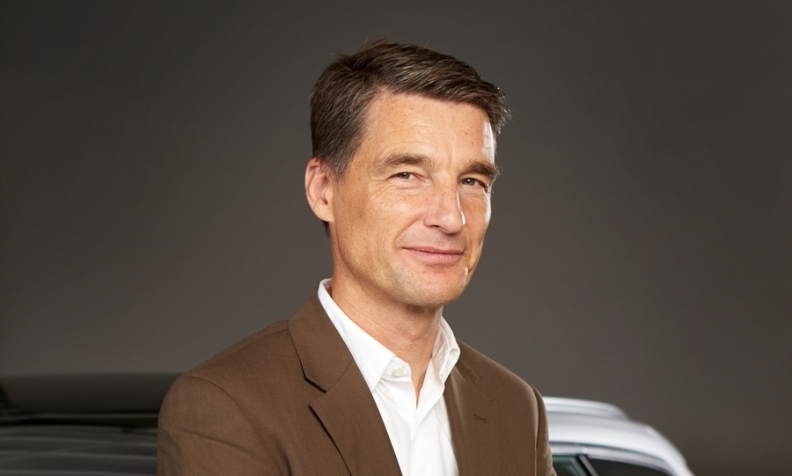 When Volvo announced Ingenlath's arrival then-CEO Stefan Jacoby called him one of the "most exciting automotive designers" in the industry and said he would "play a central role in Volvo's development toward becoming a top-tier luxury auto brand." He's done that. Now he is being rewarded with a position where his creativity and passion can be channeled in a potentially game-changing way. All the while, he will keep playing a key roll in the future look and feel of Volvos in his newly created post as the automaker's chief design officer.